This article is Round 7 of the Underdog’s Corner, a series spotlighting various lesser-used commanders and their place in the format. Each article makes the argument for a single commander that deserves more play, as well as highlighting key cards and synergies. Hello and welcome to our newest installment of the underdog’s corner! Normally I try to dig through some of Magic’s older cards, but this week I’m going to cover a legend from a very recent standard set. 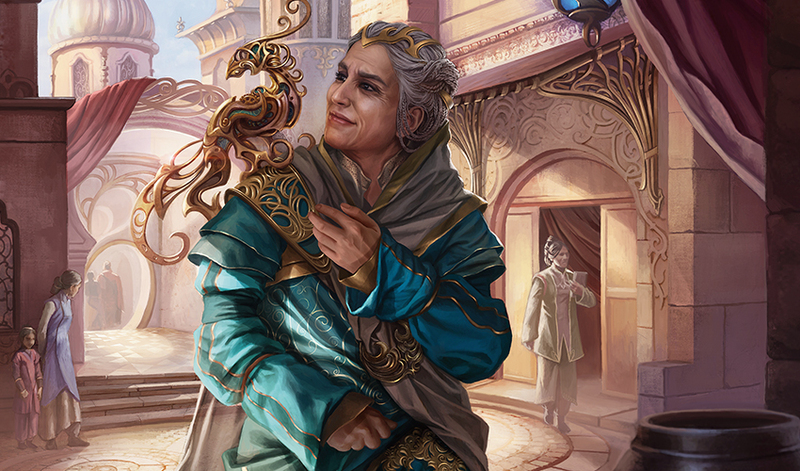 For this week’s commander we travel to Chandra Nalaar’s home world of Kaladesh, and we get to see a rarely seen side of mono-green: artifacts. While our commander doesn’t explicitly care about artifacts, we can take advantage of cards that do. She is currently tied with Rishkar, Peema Renegade as the eleventh most-played mono-green commander. So without further ado, meet this week’s underdog, Oviya Pashiri, Sage Lifecrafter! On Kaladesh the presence of aether fills the plane. 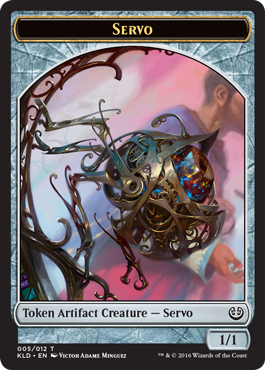 This raw, mysterious energy makes Kaladesh unique as an artificer’s paradise, and with this, every color received some interaction with artifacts. This leads to a very different type of legend with Oviya Pashiri, Sage Lifecrafter, a mono-green legendary who has some interaction with artifacts. Usually green smashes artifacts really well, but we occasionally see some artifact interaction such as Glissa, the Traitor. However, Oviya’s abilities really make other cards that care about artifacts better. So what are these abilities? If these abilities sound familiar, you’re not out of your mind. The first half of Oviya and Rhys, the Redeemed are nearly identical with only creature type lines and colors being different. The second ability is where they diverge. Rhys doubles your token army while Oviya creatures a massive beater. Speaking of Oviya’s second ability, there’s an important rules interaction to note. The value of X is determined upon the resolution of the ability, so once our token is on the battlefield the power and toughness of the token does not change. 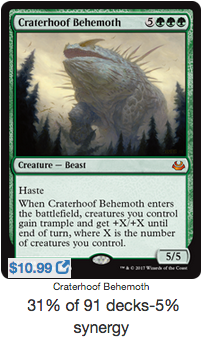 In simpler terms, if the ability resolves and we have 5 creatures on the board, the construct is a 5/5. If we have 10 creatures, then we get a 10/10. If someone destroys our board in response to Oviya’s ability, then we’ll most likely have a 0/0. This creates a really interesting balance to strike when creating a deck. Most decks prefer to go tall by creating a small number of very large creatures or wide by creating a large number of creatures. Oviya Pashiri seeks to strike a balance between the two. How do we strike the right balance between going tall and wide? The exact numbers are naturally subject to playtesting and your meta, but there are a few cards that should be highly considered. One thing I noticed while looking through EDHREC’s top listed cards is that most players lean heavily towards going wide. Comparing cards Craterhoof Behemoth and Shamanic Revelation to Pathbreaker Ibex and Rishkar’s Expertise exemplify this bias. Shamanic Revelation appears in nearly 50% of available decks, compared to Rishkar’s Expertise shows up in 19% of available decks. The same is true for Craterhoof and the Ibex, at 31% and 19% respectively. I think both pairs of cards should be considered for inclusion, but that ultimately comes down to personal preference. Fungal Sprouting and Beastmaster Ascension help us balance between going tall and wide. Each card lets us leverage the other side to our advantage. Ascension enables our army to become huge while Sprouting turns a large beater into a huge (but still small) army. It’s probably obvious, but I think these two should be heavily considered. 54% of Oviya brewer’s on EDHREC include Beastmaster Ascension while only 5% of builders included Fungal Sprouting. While Beastmaster Ascension is a slam-dunk inclusion, I think Fungal Sprouting should be considered in more decks. If we have a large creature out as green decks are want to do, we can sprout an army at any point. This in turn will let us slowly pump out large beaters with our commander. These popular cards aren’t the only available possibilites that benefit these two strategies. Nacatl War-Pride doesn’t appear in any of the top cards for Oviya, but by using EDHREC’s advanced filter we can find it. Appearing in only five decks, I think this card is criminally under-represented. When the War-Pride attacks, we get X additional creatures on the field that count towards Oviya’s second ability. While this good, the best part is it makes the rest of our board unblockable against a single opponent. This card easily recoups the mana investment in a single attack. On the other side, Elder of Laurels allows us to turn a massive board state into a massive creature. While the ability is best put on a creature with trample, generating trample shouldn’t be a problem with Nylea, God of the Hunt and other cards at our disposal. The elder can also use its ability multiple times without any timing restrictions. This makes it so that even if one attacker gets through it’s like our entire army is connecting. Keeping with the theme of going both wide and tall, let’s take one last look at some cards that can be potent additions to this deck. Since we’re going wide with creature tokens, what better way to enhance this strategy than by creating more tokens? The top two signature cards of current Oviya Pashiri decks do just that. Parallel Lives sees play in 65% of Oviya decks, and it’s a no brainer why. Whenever a token is put onto the battlefield, we get two of them. This doesn’t exclude non-creature tokens! If we wanted to add a land subtheme to our deck, then cards like Tireless Tracker would slot in seemlessly. Appearing in 51% of decks on EDHREC, Second Harvest is a one-shot effect that doubles all of our current tokens. While Parallel Lives helps us build an army from scratch, Second Harvest turns an unassuming board state into a geniune threat. If we’re really gunning for more redundancy in these types of effects, look no further than Saproling Symbiosis. I had never heard of this card until a few days ago, and from the numbers, I don’t think many others have either. While it may not double each and every token we have, I think it deserves more consideration than the five decks that it is currently in. So what about going tall? Well, we have more options there as well. Fitting into the artifact theme that Grandma Pashiri nudges us toward, Dragon Throne of Tarkir is another great addition that merges these two styles of army composition. While we may sacrifice one large attacker by putting them on the throne, the upside to doing so is absolutely worth it. Selvala, Heart of the Wilds is probably the card I’m most surprised about not seeing in the top cards section. Appearing in only 7 decks, I think this is probably the most under-represented card in Oviya decks, more so than the previously mentioned Nacatl War-Pride. Not only does she generate incredible amounts of mana, we can pump that mana into Oviya’s second ability to create a stream of growing creature tokens that will most likely draw us a card. Most likely, we’re going to be spending a single green mana to draw a card and create a fairly large token every turn with her which sounds very good. Despite saying that Oviya nudges us towards a more artifact-centric build, we haven’t talked much about it until now. Looking through the cards available to us, most green cards could not care less about artifacts. Fangren Marauder is one such card that does, but I’m not sure if I include it. It’s very tempting, however. Luckily for us, most artifact synergies are colorless and are artifacts themselves. We just have to look a little deeper. Well…we’ll get to that. First let’s look at the more obvious options we have. 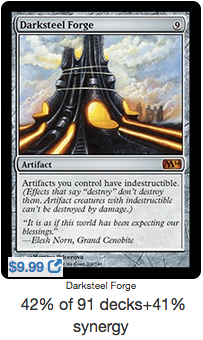 First appearing in 42% of deck lists, we have Darksteel Forge which makes all of our artifacts indestructible… I’m not sure how much I should elaborate on that, but considering that Oviya can make incredibly large artifact creature tokens, I think this is a slam dunk inclusion, especially if we aim to include even more artifact creatures. 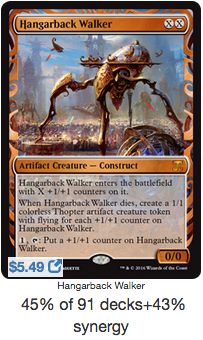 Appearing in a similar number of decks, Myr Battlesphere and Hangarback Walker go hand-in-hand with our token theme we’ve been pushing, and really give us a large number to go wide with. One token producer that’s only in about 15% of decks, despite it’s strength, is Wurmcoil Engine. I’m a little confused by this because I’m tempted to add Wurmcoil Engine to my non-artifact decks, but this is a beast of a card that should be heavily considered. Those are some heavy hitters in the artifact category, so let’s look at some more utility cards. Skullclamp has always been an incredibly powerful card, and while it has no direct artifact synergy other than its typing, being able to combine card-drawing power with our token production capacity creates a very powerful engine. While it may not have Skullclamp’s raw power, the fact that most of our creature tokens so far are artifacts allows us to use Trading Post for maximum effect. We can trade in our little servos for either card draw or artifact recursion. Go green, and recycle. For a color that really loves land, Inventors’ Fair seems tailor made for this deck. Not only does it passively gain us life, we can sacrifice it to go looking for any of the key artifacts we’ve talked about. With the ability to also recur lands, this gives us an engine that can consistently find any key pieces we want. For most of this article, there have been many cards that have seen play in under 10% of current Oviya decks, and these next two are no different. Inspiring Statuary gives all of our nonartifact spells improvise, a slight variation to the convoke mechanic. Since we’re already focusing on creating artifact creature tokens, this will let us cheat a bit on some of our costs. 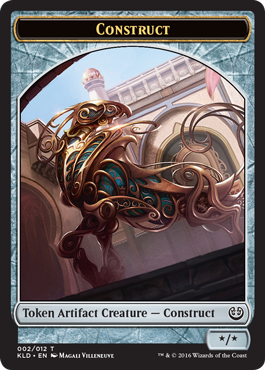 Despite coming out in Aether Revolt, Inspiring Statuary only currently appears in three Oviya decks which, you guessed it, I think is low. Ugin, the Spirit Dragon appears in even fewer decks (two total), and I think our resurrected elder dragon warrants consideration. His minus ability let’s us nuke the entire board without hitting our colorless creatures. This means Ugin effectively becomes an exiling Plague Wind. Ugin is already an incredibly powerful planeswalker, but I think the advantage of his minus missing a large number of our creatures pushes him heavily for inclusion. Once again, thank you for joining me this week in the Underdog’s Corner!